Daily Prizes: 20 x mobile airtime reload worth of RM20. Weekly Prizes: 3 x RM800 Cash and 2 free passes to Orb Ball Adventure worth RM100 each. Weekly Prizes: 3 x RM300 Cash and 2 free passes to Orb Ball Adventure worth RM100 each. Weekly Consolation Prizes: 7 x RM100 Cash and 2 free passes to Orb Ball Adventure worth RM100 each. 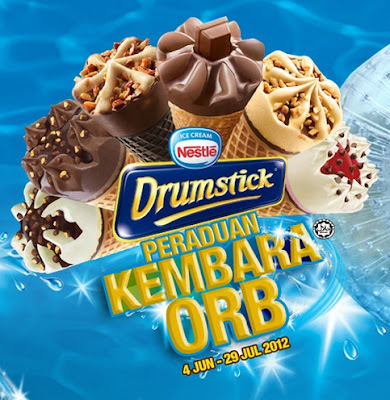 1 question will be revealed on the Kembara Orb Facebook App each day, with a total of 5 questions each week. The first 3 entries with the most correct answers to all 5 questions within the fastest time will win the Weekly Prize and the next 7 most correct entries will win the Weekly Consolation Prize. Let's go meet new friends at this cool party organized by Puma! Details here!